A man residing in a tent near the intersection of 23 Ave SW and SW Juneau St. was outside around 4:50 a.m. Monday, Aug. 6 when a suspect tried to strike him in the head with a lantern. The victim used his right forearm to block the attack. He was not injured and declined medical attention. He said he was preparing to pack up and move. A couple let their home in the 9800 block of 44 Ave SW around 11:30 a.m. on Sunday, Aug. 5. When they returned home at 7 p.m., they found that burglars had entered through an unlocked basement window. The screen was damaged. Two video game systems and a debit card were stolen. A jar of change was moved but left behind downstairs. The suspect already used the debit card at a restaurant in White Center. A handprint was found on the window used as an entry point. A man residing in the 6700 block of 40 Ave SW called police around 11:15 a.m. on Sunday, Aug. 5 to report a burglary. He discovered his bicycle stolen shortly after he awoke. It was usually kept on a rack in his backyard. The victim also noticed that his garage door was open and found that items had been stolen from the two cars parked inside. A coin bag and phone charger were among the missing items. Officers believe the entry could have been made through the front driveway or by jumping over the rear fence. Officers were not able to find any fingerprints on the scene. 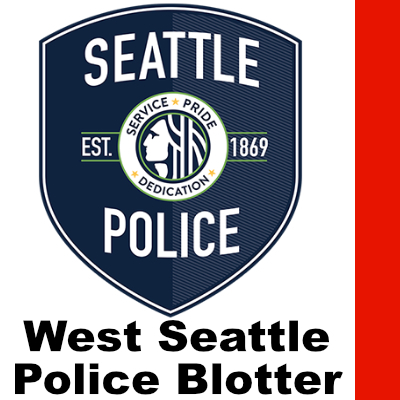 When officers arrived in the 9200 block of 34 Ave SW around 1:18 p.m. on Sunday, Aug. 5, they were met in the front yard by the victim of the burglary. He took the officers out back, explaining that the thief entered through the back alleyway. The burglar stole a pressure washer from an outdoor shed. Officers took photos of the scene and entered them into evidence.